Dr. Ortiz is interested in coastal evolution during rising sea levels. 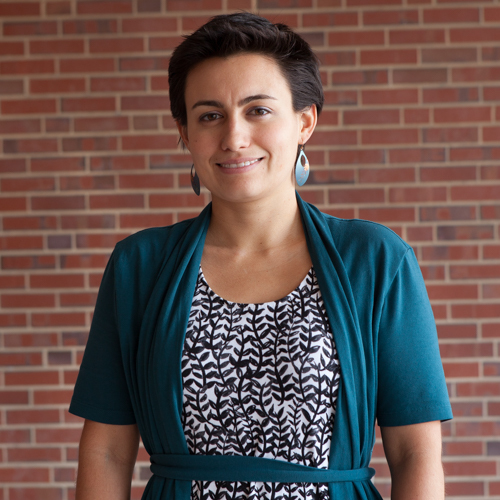 Dr. Ortiz uses numerical modeling, remote sensing, lab-based physical modeling, and fieldwork to better understand how different coastal environments are changing over the next 100 years (and have already changed). Some of her previous work has involved the investigation of the processes driving large-scale land loss on the Mississippi Delta, understanding how atolls and reef islands form and evolve, and looking at the interactions and feedbacks between vegetation and coastal evolution (ecogeomorphology). This fellowship supports emerging scientists with unrestricted funds and mentoring. As a newly-started coastal geomorphologist faculty in the Department of Civil, Construction, and Environmental Engineering at North Carolina State University, I am navigating a range of new and exciting experiences. My background is steeped in geosciences and understanding the evolution of coastlines around the world in the paradigm of rapidly rising seas. To do this, I use a mix of numerical modeling, field work for model validation, laboratory modeling, and remote sensing. For this fellowship, I will be focusing on promoting my overall research program as a new faculty at NCSU. In addition, I want to quantify the processes driving large-scale land-loss across the Mississippi River Delta Plain along and along the Gulf Coast. I am particularly interested in the role that waves play in driving expansion of interior water bodies, like ponds, on a marsh surface. I have used Landsat satellite data to monitor 730 ponds on part of the Mississippi River Delta Plain and found that ponds larger than 300 m expand in area (creating land loss) due to wind-driven wave edge-erosion. To do further investigate this process, I will be monitoring specific ponds identified as areas of active land-loss. My field measurements will validate numerical models to help predict the future of this landscape and coupled with further analysis of Landsat data, I plan to quantify the total land-loss attributed to wind-driven wave edge-erosion compared to coastal retreat of outer marsh. This program supports new faculty in NC universities conducting research aligned with NASA directives. The Science Mission Directive (SMD) of NASA supports research in the Earth Science Division developing a â€œscientific understanding of Earthâ€™s system and its response to natural or human induced changes and to improve prediction of climate, weather, and natural hazardsâ€. A key component is the use of satellite missions and remote sensing to understand the global scale of change over time. My research is focused on understanding and quantifying the amount of interior marsh degradation along North Carolinas coastal waterways focusing on Roanoke Marsh and Mackay island. I will use Google Earth Engine (GEE), a free cloud-based GIS software with access to multi-petabytes of satellite imagery and geospatial datasets, to map land loss on the marshes over the last 30 years. This work will support one graduate student for a summer project working in conjunction with an undergraduate researcher. Modifying existing codes within GEE, the students will focus on accurately tracking marsh loss. I would like to use this research within a larger context of understanding the primary drivers of land loss on marshes in North Carolina and helping to predict future rates of land loss along the coast. Ultimately, I want to suggest potential mitigation strategies to combat the marsh loss seen in these locations. That goal will entail field-based data collection and numerical modeling as part of a larger project. The hope is that this funding can lead to an initial dataset that has quantified land loss and hypothesized potential drivers of land loss. Then this research would be leveraged for further funding investigating how to fix the problem of large-scale land loss of marshes.